This painting is the first in a series about painting reflections. We're starting with a mirrored glass surface with no visible ripples to add complication. To see the lesson on painting reflections on water, please click here. Reflections always come directly toward the viewer. 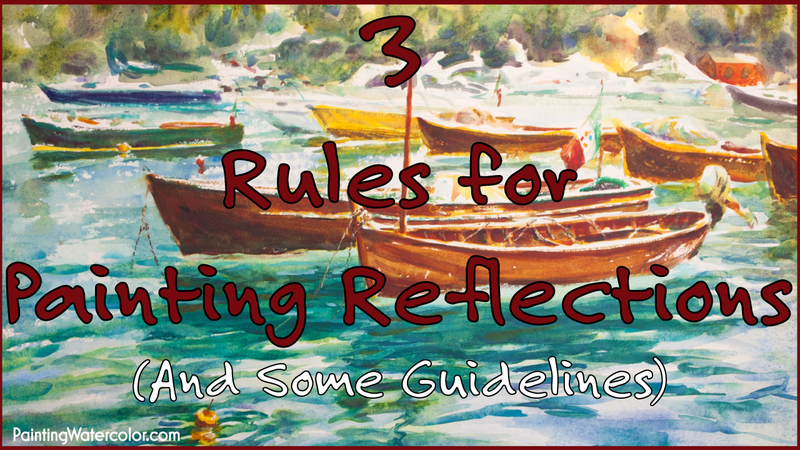 When I think about reflections, I think about boats and water. And when I think about boats and water, I think about Maine. Some of the most beautiful boats in the world are found in Southwest Harbor, Maine. My husband and I have been coming to this vantage point over the docks for years whenever we're in Maine. We drink our coffee, eat blueberry scones from Little Notch Bakery, and sketch a little in the morning. It's our favorite breakfast place by far! I've sketched this view in all (summer) weathers. Choppy water and overcast to mirror bright. It's endlessly fascinating because I never know what I'll see. It might be a beautiful wooden boat to a utilitarian fiberglass dinghy. Today, the boats were the usual mix. I actually rather like the white painted boats because the shadows are so beautiful on white. I chose a landscape proportion of 8" x 18" for this painting. I wanted the mirrored string of reflections to be the focus, not the foreground or background. So I narrowed the frame. Generally, with water moving, you see interesting reflections on the boats. Little squiggling shots of light on the hulls are wonderful to paint! However, with still water, you'll see more subtle reflections from the water on to the boats. I kept this painting for over my mantle to remind me of the gorgeous mornings I've spent there. 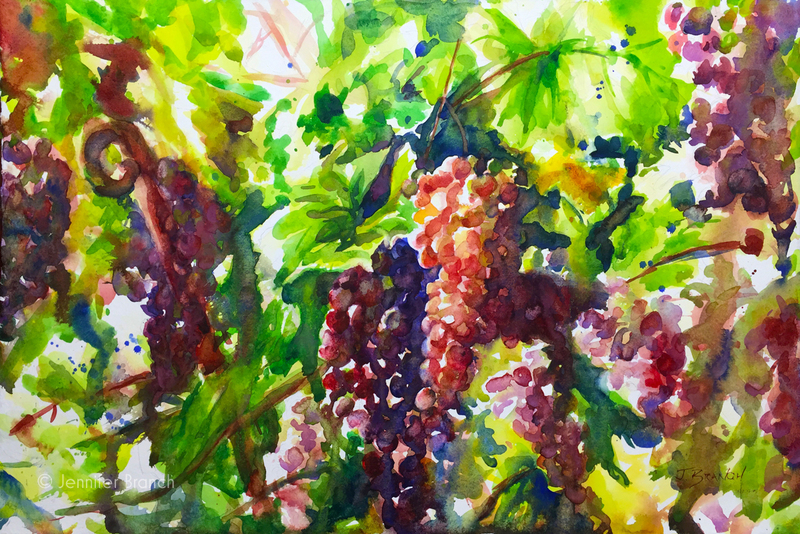 I start with a very fast wash using cobalt blue, cobalt violet and nickel azo yellow. I mix the pigments because I want some very subtle colors in the background. I start painting the water immediately, using a very wet on dry brush. I'm using a mop so everything is very loose in this layer. I let the paint move down the page by gravity, not my brush. I'm still building up my subtle background colors slowly, but I add a few strong darks to make the boats glow against the shadows. A minimum of details in the boats will keep your viewer's eyes on the reflections, which are the focus of this painting. So keep it simple! Build up layers very slowly when you have a crisp reflection. The bright cadmium of the dinghy looked very isolated before adding the red stripe on the canoe. Always repeat pigments throughout a painting. An isolated pigment looks off since you'll never see one color in only one place in nature. I painted a bold ultramarine wash with dashes of brown and violet over the unreflecting water. Where it was looking a bit insipid, the bright bold color gives contrast to the boats, making them float above the mirrored surface. I dull the background shadows with cobalt violet and start adding a few little details to suggest boats in the background. I want no attention drawn to the background, so I keep details loose and subtle. 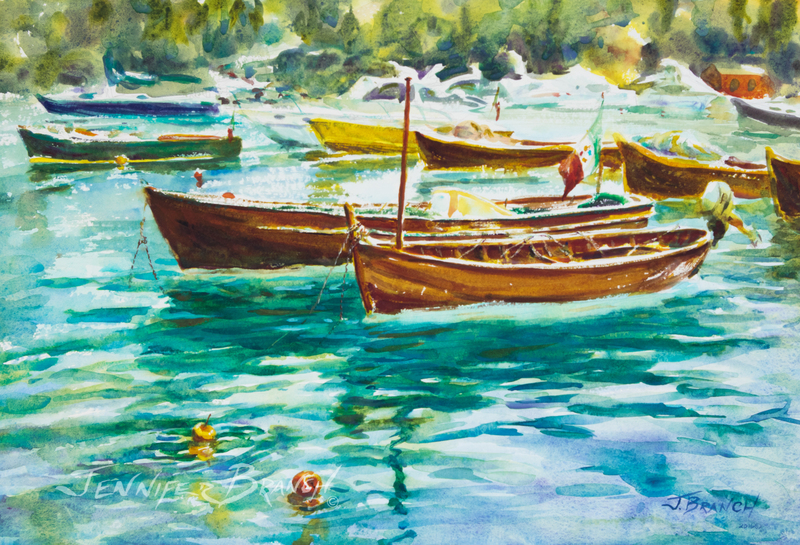 Southwest Harbor Dinghies Reflections Final Watercolor Painting! Well, I kept this painting, so you know I love it! 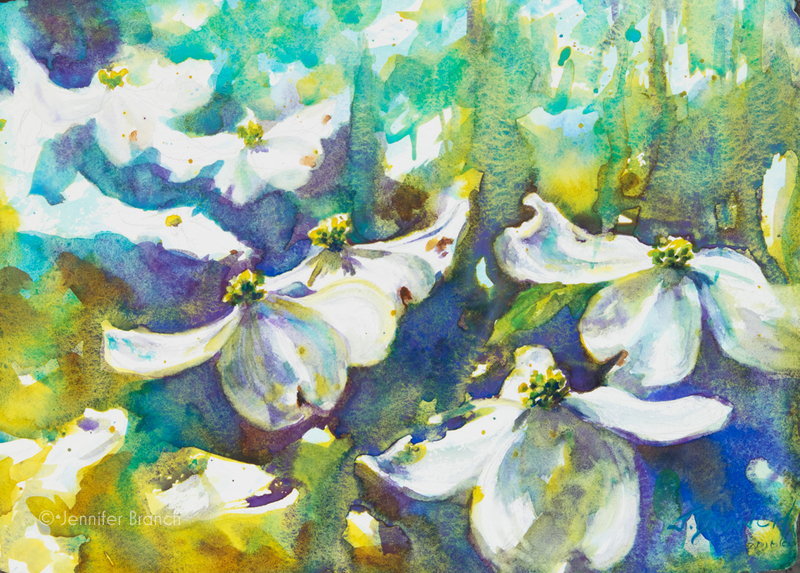 I really don't keep very many of my paintings - side effect of painting wonderful things for a living. It takes me to a sunny summer day in Maine, looking out at the boats, warm coffee and crisp clean sea air. My kind of day. I'm going to enjoy looking at this painting and planning next summer's trip. I hope this gave you some good ideas about painting reflections. Please don't forget to watch the YouTube painting tutorial on How to Paint Reflections. 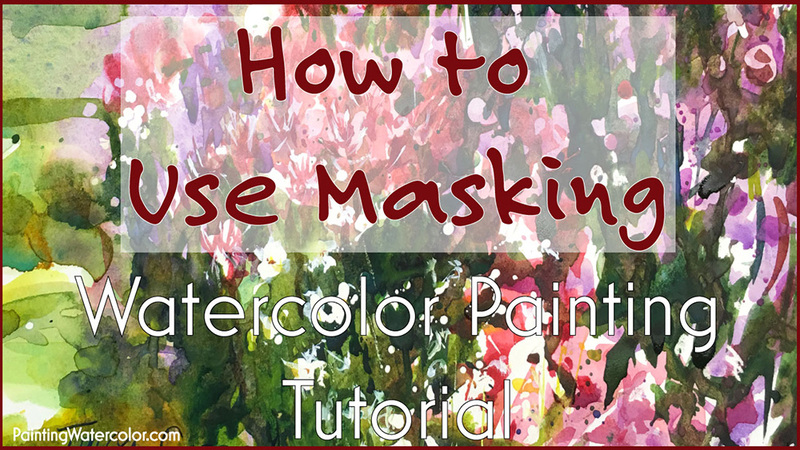 It should help guide you into making painting reflections in watercolor easy! 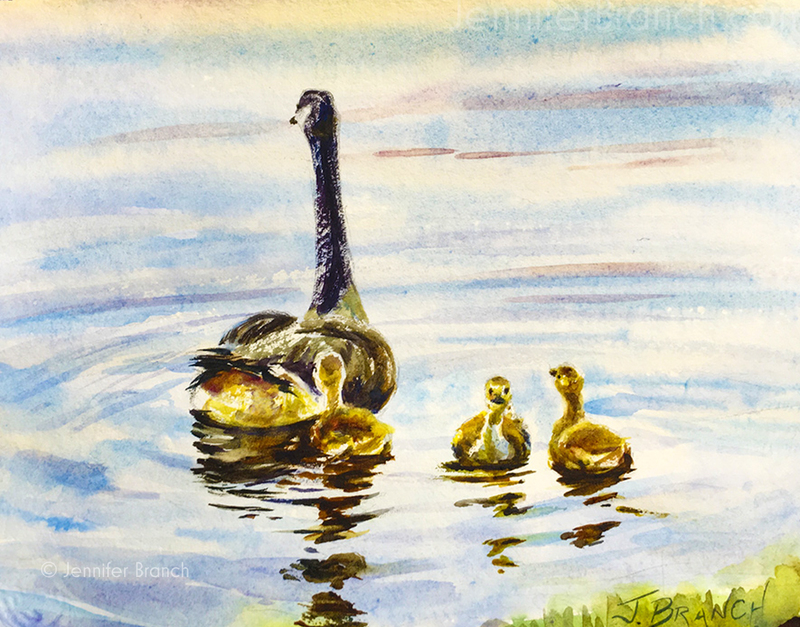 Next week, we'll paint some cute goslings and add a few ripples.